Our team is also available over the phone or by e-mail to assist you in making the right choices . Welcome to BilliardSuperMarket. Get live support from our customer service here. 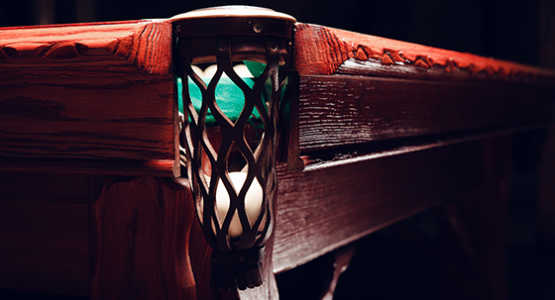 Even if you’re already the satisfied owner of a billiards table, you surely need accessories. If your table is worn-out or dated, BilliardSuperMarket can refurbish or restore your table. If you are in doubt, check out the following help, and if they don’t address your question, click this button to consult online. How to select the type and the thickness of the rod? If it is a nine ball, there is no doubt that it will choose the nine clubs of 12-13 of the bar, because it has a lot of rotations and a strong rotation, so it will be strong to require the club to be thick. 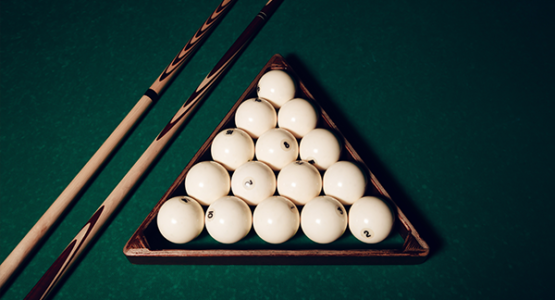 If is Chinese style billiards, choice is more, the average person will choose the first 10 or so snooker cue, also some people will choose to head a finer 12-12.5 nine or rod head around 11 potts cue, as more and more players in addition to guarantee accuracy, more to consider the cue ball will take a and the application of all kinds of shots method, so the choice would be rough as far as possible some clubs. What are the differences between imported clubs and domestic clubs? The concept of making clubs is different, and the imported rod is more focused on the transmission and performance of the club, while most of the domestic rods are more focused on the cue and arrow lines because of domestic demand. How to compare the different brands of domestic clubs? What's the difference? Every club brand manufacturer has its own concept of making sticks, so the style of the club is different. 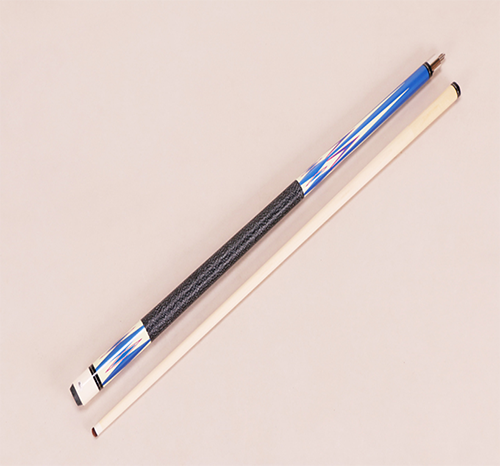 Each manufacturer for wood material, the deployment of the cue taper, weight and center of gravity, the flower arrangement craft is different, there is a different form of interface, all kinds of metal parts, sign design and material, such as skin head and lengthen the difference. What is the difference between different series of clubs? In the first place, the quality of wood used in the advanced series is better than that of the lower series. Secondly, the flower arrangement is different, and there are different types of wood for flower arrangement. In the end, the production process is different, the production process of advanced series is complex, the production time is long. Theory stem force better, but three-quarters of pole carry more convenient, professional players also has many is with 3/4 rod, so the structure of different won’t cause very big effect to force, and the cue material and production process will cause great influence to the force. Distinguishing and distinguishing between maple and ash wood. White wax and maple are the two most common types of clubs. From the outside view, the white wax has no obvious texture, the maple is pure color and no texture, the white wax wood fiber is interlaced similar to the mixed structure, the direction is very stable. The fiber structure of maple is evenly distributed and has no obvious directionality. The contraction of the white paraffin rod (where the arrow is tattooed) produces a slight bump. Maple rods are easily deformed and dirty, so they are not well maintained. For conventional maple, maple top may better than white wax, but generally or mid-range maple on stability than far short of the ash so maple users relatively less reason right here. The soft and hard distinctions of clubs. With the soft wooden pole, the effect is good, the instant offset is relatively small, the cue ball is easy to control, but when it strikes the long distance ball, it will be more unstable than the previous one. The wooden stiffer is a little bit lower than the ball, the offset is relatively large, the ball is not easy to control, but the win is high (easy to push the target ball into). The soft and hard of the club should be moderate, and according to the individual playing habits, choose the right hardware and hardness. What is the center of gravity of the cue? The so-called center of gravity is the balance between the front and rear weight of a pool. Weight balance evenly, the cue in a reasonable position, and to be on the stage bar, pool cue to evenly distribute the weight of the hand and hand, after to strike the ball easier movement coordination, grasp the cue inertia. What is the cue line? The lines of the club still depend on personal preference. According to Chinese aesthetic concept, the average frontal arrow is 4 to 7, and the lateral lines are straight and evenly distributed. The number is moderate (the more the side lines represent the longer the tree is in the year). However, the arrows on the front and back of the club are only related to aesthetics, which is not related to quality and sense of play. Therefore, it is not important for foreigners to choose the club. Will the material affect the performance of the club? There will be influence, different ligneous transmission, the stability is different. Snooker cue in common for the timber is commonly after ebony, rosewood, ebony cost is higher, so the above a certain level of the cue after chooses ebony as base material, along with other rare wood flower arrangement. Is a lacquered pole not equal to a paintwork? The paint is painted on the surface of the club to protect the air and protect the club and aesthetics. In general, the new pole is not astringent. But when the club is used for a long time, it will make the coating thinner and slowly dry. The previous branch generally does not go up lacquer, hind will not necessarily, whether to paint depends on each brand dealer. How to choose the centre of gravity of the club? The weight of the club is determined by the weight of the club.Because everyone’s arm and grip are different, the weights of the clubs are not uniform.In the back of the grip, you should try to select the back of the club, and instead choose the front of the club. The club is the same type, can the front branch be exchanged? It can be used in exchange, but the new lever is sold in a one-to-one correspondence, without exchange of sales. What are the advantages of the nine-club technology?What is the difference between the actual wood and the wood? Technology before the day before referring to technology in wood, the wood before the general is to use more similar density of maple patchwork, before this section is relatively easy to use, general section before the start of performance is more outstanding. It takes a period of time to grind, performance and advantage to be shown after a period of time, and the service life is much higher than the pre-techs. If the weight is not right, can the nine clubs adjust the weight? The nine clubs with higher prices are generally designed to be redeployable, which can be replaced by some brand models based on the buyer’s own needs. Common types of nine clubs and how to distinguish them? There are two major categories of iron teeth and wooden teeth, but whether it is the iron teeth or the wooden teeth, there are different points in the joint.The easiest way to judge a tooth is to see if there is a metal nut in the front section. If not, it is a wooden tooth.